Since 1978 veteran building industry professional, Craig Beere, has provided peace-of-mind forest product solutions to the most talented architects and developers. Those looking to envision, craft and accomplish structures of lasting impression and value. PROVIDING OUR CLIENTS WITH PREMIUM BUILDING SOLUTIONS AND PROJECT PEACE-OF-MIND FROM START TO FINISH. At Beere Timber Company we pride ourselves in understanding our clients' passions and vision for crafting amazing works of lasting impression and value. 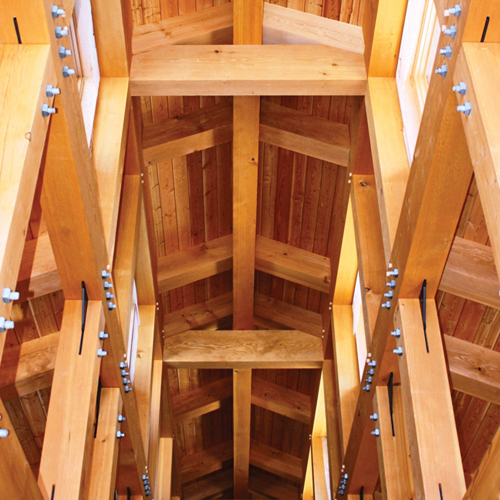 Whether it's a large commercial, institutional or resort project for the enjoyment of thousands or a unique residential family home, Beere Timber Company strives to be your building advocate from start to finish. We partner with the finest architects, professional builders and engineers assisting them with every aspect of the building materials process. Beere Timber Company will help specify unique and premium building products for projects over 1.5 million and ensure those products are delivered on spec, on time and on budget regardless of the scope or location around the world. A veteran of the lumber industry, Craig has been planning, consulting on, supplying, and delivering for large scale architectural building projects for four decades. Craig and Beere Timber Company look to become a strategic partner on your building team - from start to finish. We'll provide you with the consulting support and sourcing of premium forest products for the most demanding projects anywhere around the world.